The major difference between anaerobic and aerobic conditions is the requirement of oxygen. Anaerobic processes do not require oxygen while aerobic processes do require oxygen. The Krebs cycle, however, is not that simple. It is a part of a complex multi-step process called cellular respiration. 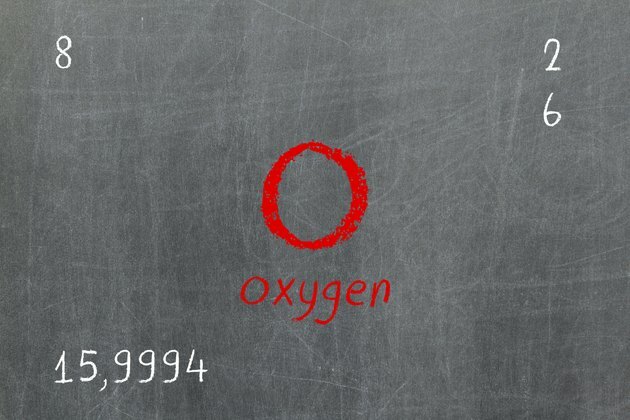 Although the use of oxygen is not directly involved in the Krebs cycle, it is considered an aerobic process. Aerobic cellular respiration occurs when cells consume food to produce energy in form of adenine triphosphate, or ATP. The catabolism of the sugar glucose marks the beginning of cellular respiration as energy is released from its chemical bonds. The complex process consists of several interdependent components such as glycolysis, the Krebs cycle, and the electron transport chain. Overall, the process requires 6 molecules of oxygen for every molecule of glucose. The chemical formula is 6O2 + C6H12O6 --> 6CO2 + 6H2O + ATP energy. Glycolysis occurs in the cytoplasm of the cell, and it must precede the Krebs Cycle. The process requires the use of two ATP molecules, but as glucose is broken down from a six-carbon sugar molecule into two three-carbon sugar molecules, four ATP and two NADH molecules are created. The three-carbon sugar, known as pyruvate, and NADH are shuttled to the Krebs Cycle to create more ATP under aerobic conditions. If no oxygen is present, pyruvate is not allowed to enter the Krebs cycle and it is further oxidized to produce lactic acid. The Krebs Cycle occurs in the mitochondria, which is also known as the power house of the cell. After pyruvate arrives from the cytoplasm, each molecule is completely broken down from a three-carbon sugar into a two-carbon fragment. The resulting molecule is attached to a co-enzyme, which starts the Krebs Cycle. As the two-carbon fragment travels through the cycle, it has net production of four molecules of carbon dioxide, six molecules of NADH, and two molecules of ATP and FADH2. When NADH is reduced to NAD, the electron transport chain accepts the electrons from the molecules. As the electrons are transferred to each carrier within the electron transport chain, free energy is released and is used to form ATP. Oxygen is the final acceptor of electrons in the electron transport chain. Without oxygen, the electron transport chain becomes jammed with electrons. Consequently, NAD cannot be produced, thereby causing glycolysis to produce lactic acid instead of pyruvate, which is a necessary component of the Krebs Cycle. Thus, the Krebs cycle is heavily dependent on oxygen, deeming it an aerobic process.